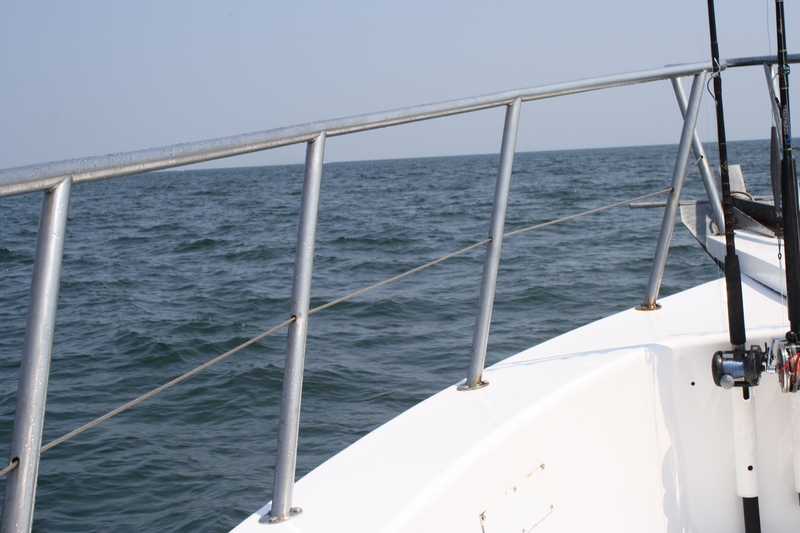 Deep sea fishing was not something that I thought I would ever do. But, I did. We set out early in the afternoon for the fishing trip ready to catch a mess of fish. The weather was perfect, the boat was nice, and the company was great. We could still see the shore when we dropped our bait, so I guess it really wasn’t deep sea fishing, but it was deep enough. Everyone but me caught some really large red snappers which we took home and cooked away. The sisters and I fried, grilled, and sautéed the red snapper, along with some fresh shrimp. We added some fresh tomatoes and slaw. It was fun and delicious. And, even better, since the ladies did the cooking, the men did the cleaning. Well worth the trip on the great blue gulf. One day this week, I was at the dentist getting my teeth cleaned. I always enjoy chitchatting-as best I can- with the lady who works on my teeth. This week as she cleaned my bicuspids and other dental thingys, we discussed her daughter’s recent wedding, school starting back soon, the rainy weather, and my family’s recent trip to the gulf. Last year, she helped us decide what to do and where to eat before we went to Destin, which is her beach destination of choice. This time, we discussed Gulf Shores and trips of the past. She told me about how her whole family used to travel to Gulf Shores together, but now her parents weren’t in good enough health to go. I told her all the fun things we did on our trip and the great places we ate like Lulu’s and the Hangout. As we discussed restaurants, she shocked me. She told me that when she used to go to Gulf Shores years ago, her family cooked in the condo and would only go to a restaurant once. She explained to me that her mom was an excellent cook and enjoyed cooking for the family. That I can understand. But, on vacation? To me, traveling to the beach is 50% about the beach and 50% about the food. It is 0% about eating my own cooking. Bleh. I can do that at home. To each his own, however. Some people get a kick out of cooking on vacation, and for others, it is a money decision. I asked her what restaurant was the one, since there only was one. For the two of us, it was the same place. If I could only choose one meal at one restaurant, it would be an easy decision. 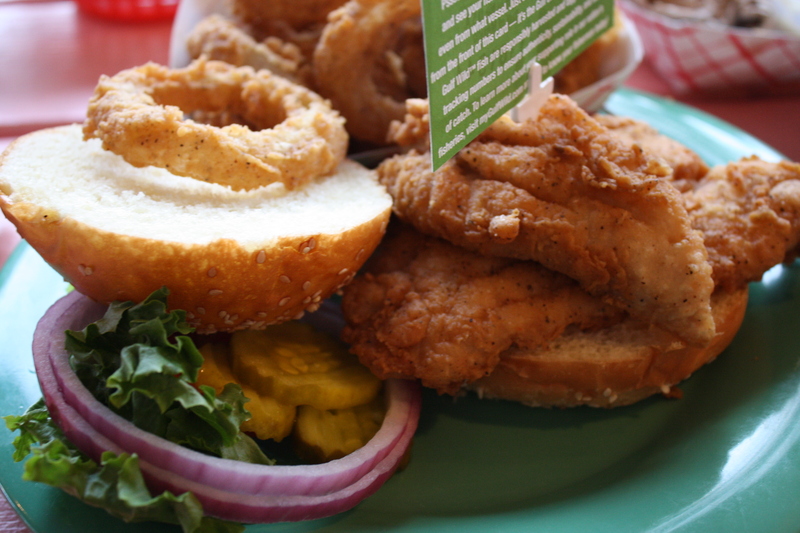 It would, without a doubt, be the Shrimp Basket. In 2002, Mr. Opinionated and I went to Gulf Shores in October. One night on that trip, we ordered a late supper from the Shrimp Basket and took our food back to our room. 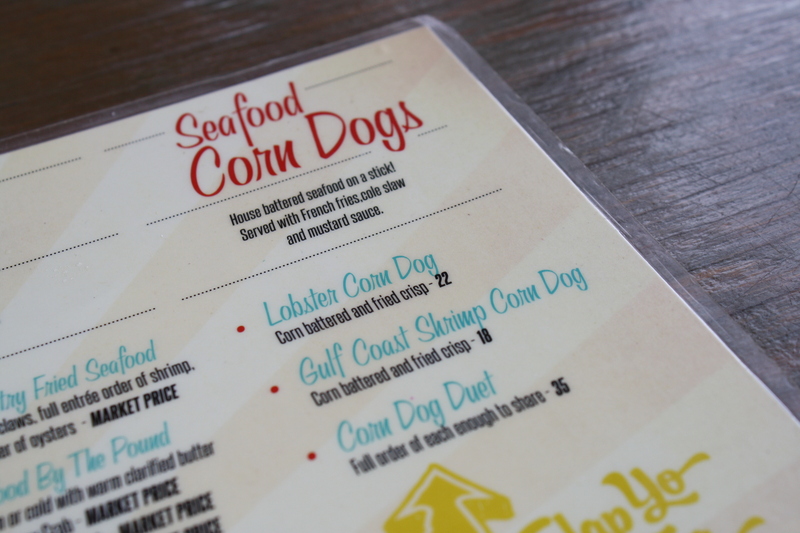 While we sat on the deck overlooking the beach, we ate some of the best food we had ever eaten. 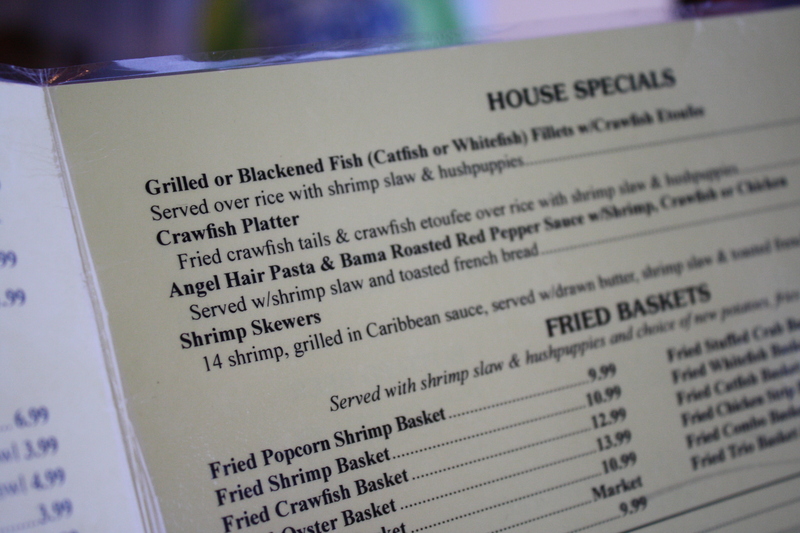 Since then, the Crawfish Platter has been one of my favorites of all time. It is one of the reasons we drive to the gulf. 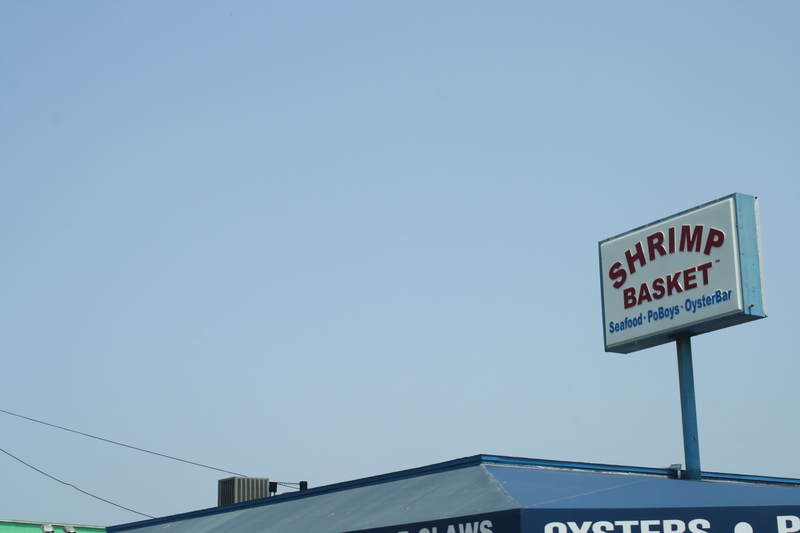 I think about it a lot, and it is the only thing I have ever ordered at the Shrimp Basket since that first trip. If I only ate out once, I would choose this meal not only for the deliousness but also for the memories. 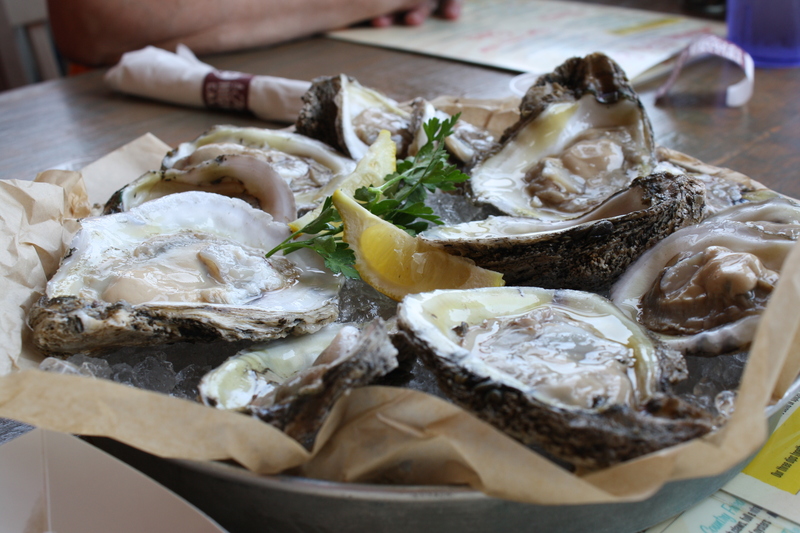 This year on this trip, we started with the Bama oysters. They were fine, but I wouldn’t order them again. 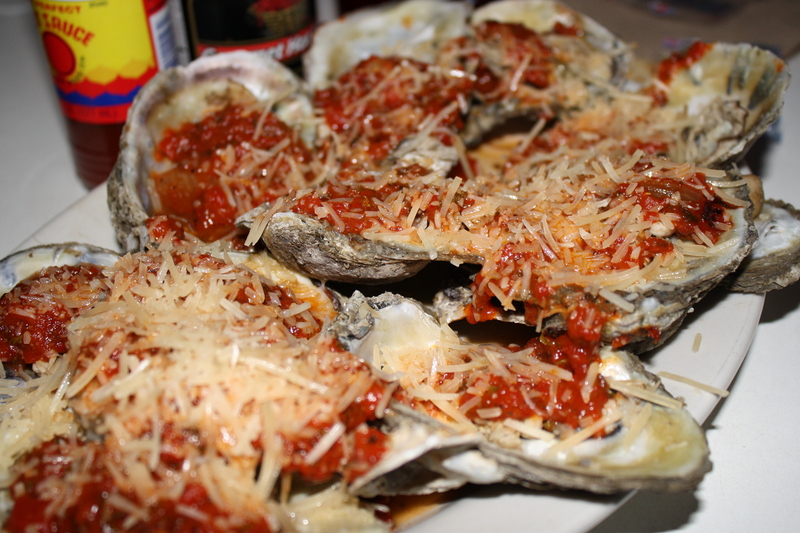 To me, oysters this fresh belong in butter and garlic and not spaghetti sauce. 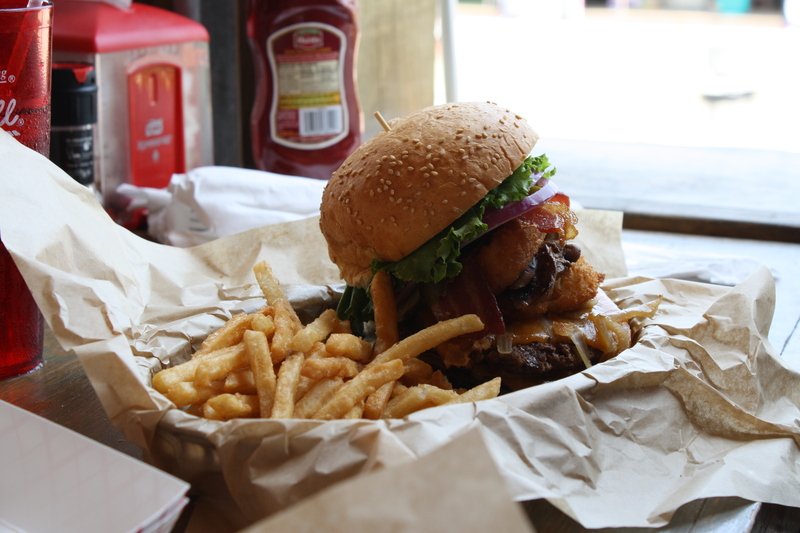 After that, though, came the big daddy. My favorite meal of all meals. 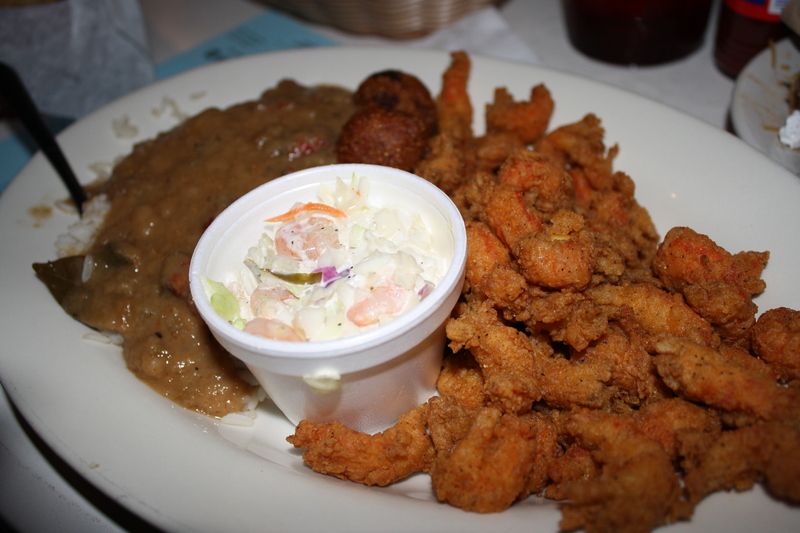 The Crawfish Platter is made up of two main parts-the crawfish etoufee and the fried crawfish tails. Both dishes are spicy and perfect. 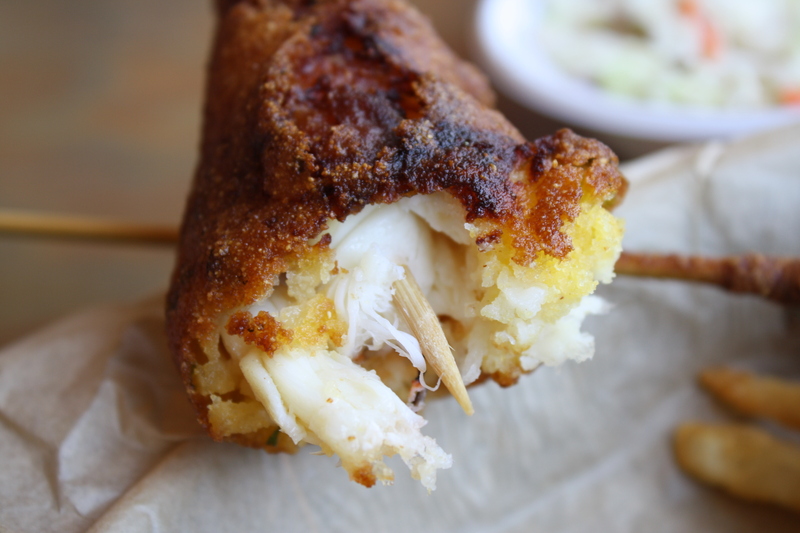 The etoufee is the best I have ever eaten, and the crawfish tails are fried to a perfect crunch. There is quite simply nothing better in this world. 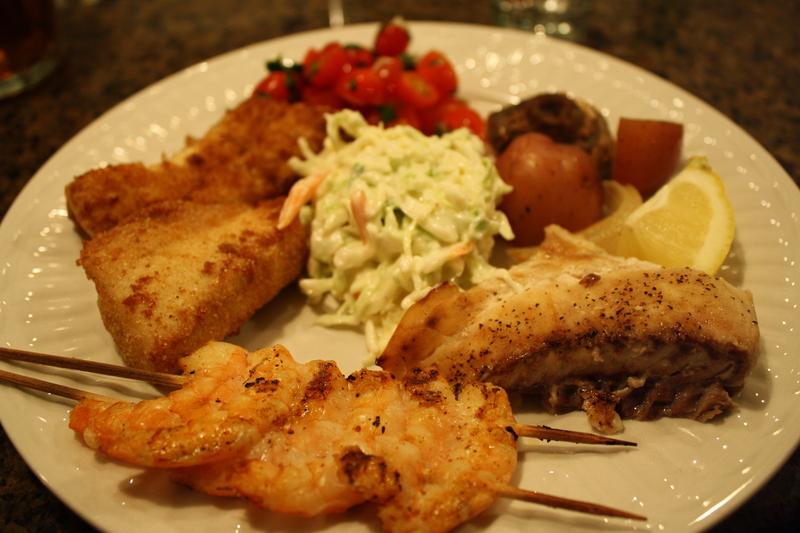 In the middle of the two is the co-star of the platter, the shrimp slaw. 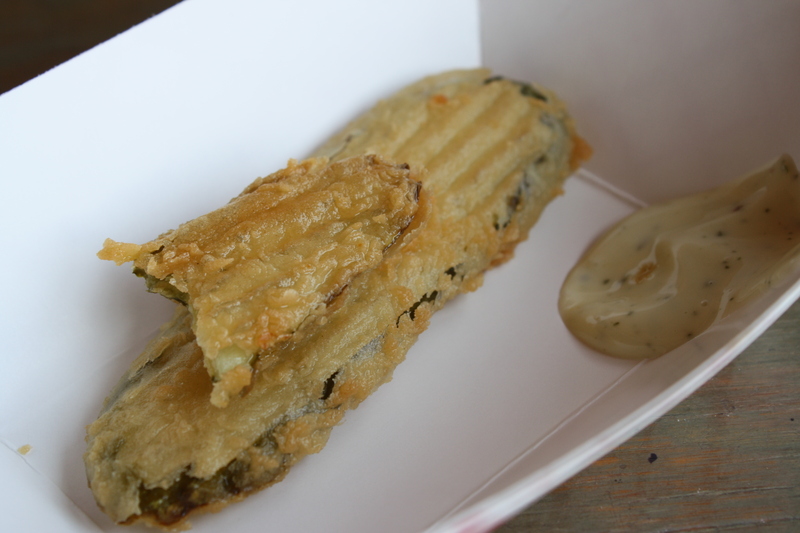 It lends a cool component to the two hot stars of the dish. When we went this time, some dude walked up to our table to check on us. Thinking he was just the manager or something, we talked for a minute. Then he told us he was the owner of all of these fabulous establishments and was actually from a town close to where my husband grew up. It is a small world. I regret not telling him to pull up a chair and let me pick his brain about his awesome restaurants. And I didn’t get the chance to offer my backyard as a place for his newest one. 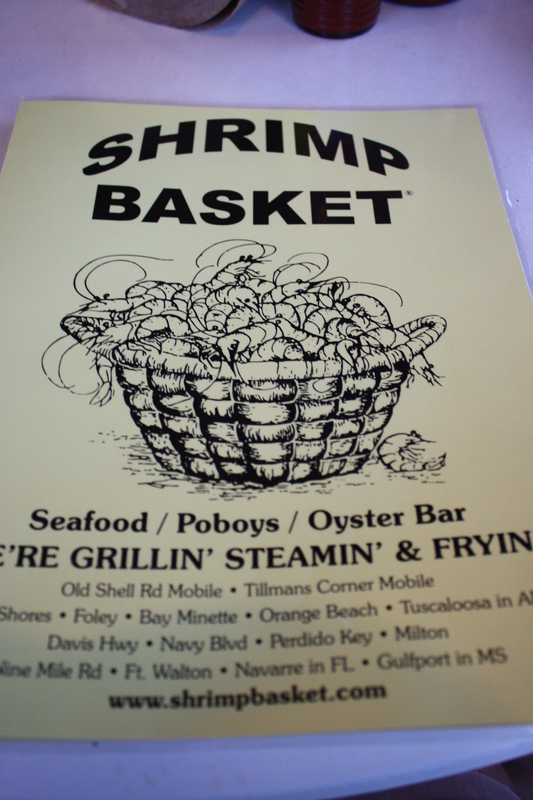 I adore the Shrimp Basket. Best food there is. To say the least, I bought the t-shirt. Unlike most restaurants, actually unlike all other restaurants, I don’t go to Lulu’s for the food. The first time I went to Lulu’s, my meal was terrible. The second time I went to Lulu’s, I felt awful and my food was terrible. This time when I went to Lulu’s, the food was still not the best ever. Unlike most restaurants, though, that’s actually fine with me. Lulu’s is just a lot of fun. I had the fried green tomatoes and the fried red snapper sandwich. 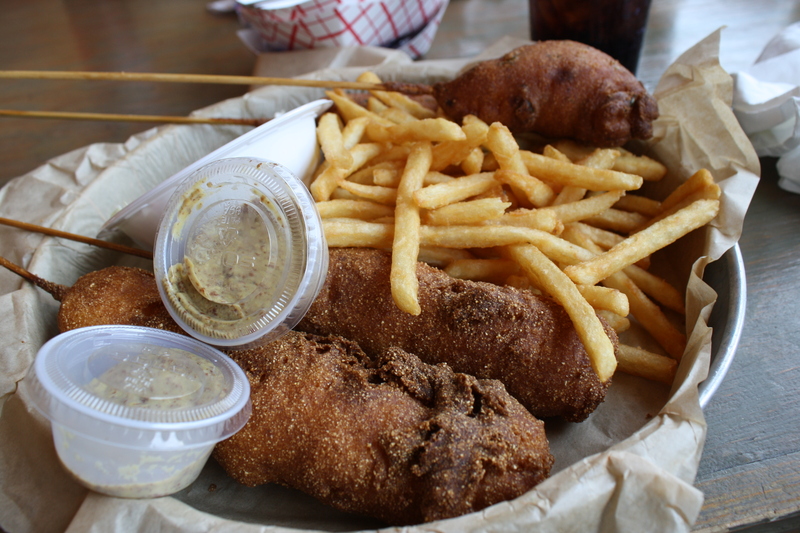 I didn’t intend to eat so much fried food at once, but nothing else looked good to me. 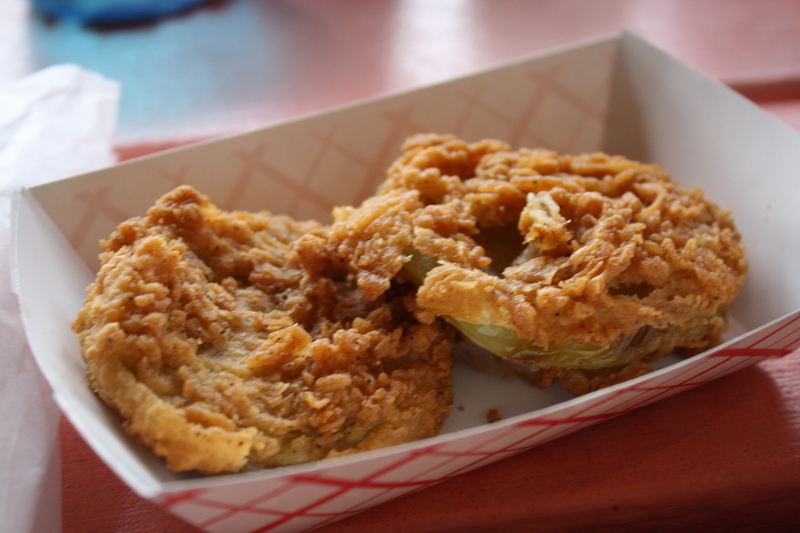 The fried green tomatoes are much better at home. The sandwich was decent. The sauces were okay. But, most of us had a great time. The little kids played in the sand and watched the boats. Miss Helper got her first fake tattoo. The band was right behind us, so we got dinner and a show. I got two new t-shirts. We’ll be back, and hopefully after that the next time we go I will find the dish that we bring me back again. This time for the food.